New World Library, 9781608685905, 296pp. How do you resolve a midlife crisis? Margaret Winslow, an overworked college professor in New York City, answered a for-sale ad for a "Large White Saddle Donkey." Hilarity ensued, along with life-threatening injuries and spirit-enriching insight. 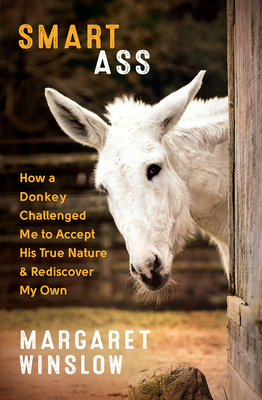 Walk with Winslow and Caleb the donkey through training traumas, expert-baffling antics, and humiliating races, and share in Winslow's gradual understanding of Caleb's true, undeniable gifts: a willingness to be true to himself no matter the circumstances, to trust, and to forgive. As she and Caleb learn to thrive, you'll learn the importance of being true to your own pure and powerful self. Margaret Winslow is a field geologist with more than thirty years' experience in Central America, South America, and the Caribbean. The author of two travel memoirs, she lives in Piermont, New York. Caleb boards nearby with fifty horses and ponies.